NOAA’s funding will support Ventura shellfish and migratory fish projects. NOAA funded 22 programs in various states, including two in California. The two projects are: Ventura Shellfish Enterprise and germ cell transplantation methods for aquacultural production of migratory fishes. VSE hopes to establish regulated bivalve shellfish production in the Santa Barbara Channel. 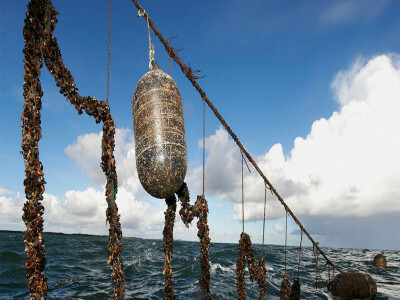 The aquaculture initiative would specifically grow Mediterranean mussels. Company representatives stated Ventura Harbor and the surrounding area are ideal for mussel farming. The National Sea Grant College Program and the NOAA Office of Aquaculture jointly supported the Ventura Shellfish Enterprise project. “This project highlights the emerging method of germ cell transplantation, a potentially important aquaculture tool that can magnify the numbers of specific genetic lines of males and females without genetic modification,” NOAA Sea Grant staff stated about the germ cell transplantation project. “The work proposes to develop and optimize the transplantation technology in two economically important Pacific Coast species in commercial production: steelhead and white sturgeon. “It will be experimentally determined which stage of juvenile development can produce a high number of transplantable germ cells for the two species to be studied,” NOAA Sea Grant staff continued. Each project was funded for three years and includes a 50 percent match by non-federal partners. NOAA Sea Grant reportedly received 100 proposals requesting $48 million in federal funds. Previous federal funding, according to NOAA Sea Grant, has created a $78 million economic impact, supported 792 businesses and created 1,387 jobs. NOAA has been actively pursuing aquaculture, or “Blue Economy,” opportunities nationwide, all as part of an effort to expand sustainable seafood production in the United States.